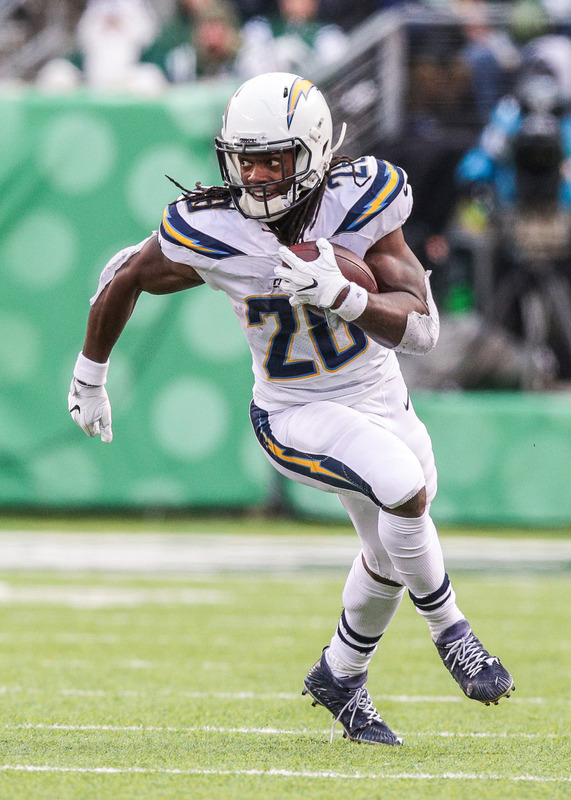 Chargers running back Melvin Gordon said at the end of January that he would wait until Le’Veon Bell signed a new contract before engaging in extension talks with the Bolts. He later walked back those comments and said he would be open to negotiating an extension with the Chargers immediately, but regardless, Bell has finally landed his much-ballyhooed deal and Gordon and LA now have another benchmark to consider in their own negotiations. GM Tom Telesco has said that he is open to considering an extension for Gordon — who is entering the final year of his rookie deal — this offseason, per Jeff Miller of the Los Angeles Times. However, Telesco indicated he didn’t have a timetable for a new deal, and given that there have not been any public reports concerning an extension, it may not happen until the summer at this point. Gordon’s injury history is a complicating factor, but his talent is undeniable. The 2015 first-round pick does not have eye-popping YPC numbers in his career (he has averaged 4.0 yards per carry over his four professional seasons), but he did manage 5.1 yards per tote in 2018. He is also a major weapon as a receiver, compiling over 400 receiving yards in each of the past three seasons. He has 28 rushing touchdowns and 10 receiving scores in his career, and he was a key part of the Chargers’ return to the postseason last year. But he did miss four games down the stretch in 2018, and he had December IR trips in 2015 and 2016. He did manage a full 16-game slate in 2017, and Telesco said he does not have “too many concerns” about Gordon’s durability, though that may not be entirely true. In any event, Gordon stands to cash in and will surely be paid at the high end of the running back market. Todd Gurley is currently the pacesetter with an average annual value of $14.375MM and $45MM in guarantees, while Bell just landed a $13.125MM/year pact. The Cardinals’ David Johnson is now working under a $13MM/year deal and stands to earn $32MM in guarantees. Gordon is due a modest $5.61MM this year under his fifth-year option, and if he does not get the long-term deal he’s looking for, he could force the issue by holding out. But it sounds as though both sides are willing to continue their relationship for the foreseeable future, and as Miller observes, Gordon is a popular figure in the Chargers’ locker room, so team brass will want to be careful about how it handles negotiations with him. The guess here is that Gordon gets his extension sometime before the start of the regular season and lands a four-year deal worth about $14MM per year and with $35MM or so in guarantees. Only Bell doesn’t have much of an injury problem. Over $13m for injured players is a lot of cash and cap space. That’s why they’re waiting. If he can put up another similar season to this last one they’ll pay the man. He is not getting a deal close to 10M+ per year if he disappears at the end of every season with a banged up knee.